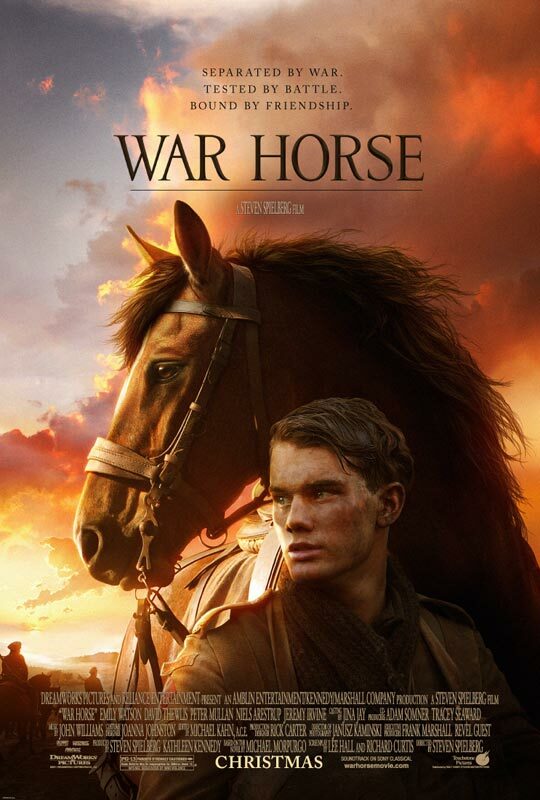 I've seen the trailer for War Horse several times now in movie previews and have never failed to instantly sob; very embarrassing for my companions. Based on the novel by Michael Morpurgo, the story follows the odyssey of one courageous equine from rural England through worn-torn Europe during WWI. If the feature length film is anything like the trailer best believe that when I see this movie I'll be accompanied by a family-size box of kleenex.